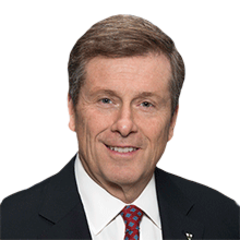 This is is the third in a series of open letters to Mayor John Tory regarding the serious issues facing the city of Toronto. until this fall's municipal election. The election will be held on Monday, October 22, 2018. There have been three major developments since I last wrote to you on May 18th. 1. On June 7, 2018, the Conservatives, led by Doug Ford, came to power in Ontario. On June 29th, Mr. Ford was sworn in as premier of the province. 2. On July 27th, Premier Ford confirmed his government's intention to cut Toronto City Council from 47 members to 25 for the October 22nd election. 3. That same day,,in response to Ford's announcement, Jennifer Keesmaat, City Planner of Toronto from 2012 to 2017, announced her candidacy for mayor. Finally, we have a race! At the 11th hour, you were challenged by a high profile candidate. That's good for Toronto and it's good for you, Mr. Mayor. Did you really want to sleepwalk your way to victory? Any worthy leader should welcome such a challenge. If you win, you will be benefit from it. Your performance during your second term in office will be much better than if you had cakewalked to victory. This is a win-win situation for everybody. Toronto will have an engaging mayoralty race. Voters will be much more involved and voter turnout will be higher. More issues will be debated and brought to the forefront, especially since Toronto's future is at stake. Furthermore, someone will have to stand up to Premier Ford. 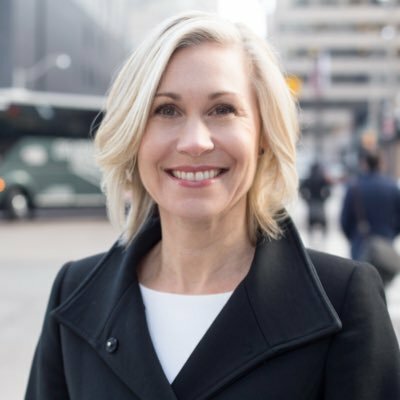 You and Jennifer Keesmaat both oppose his ill-timed plan to reduce the size of Toronto City Council without public consultation and debate. In a letter to Queen's Park, you urged Ford to reconsider his plan to have fewer Toronto councillors. You wrote: Something as fundamentally important as an election - a primary mechanism of civic democracy - should not be changed without public impacts or costs. You exhorted the premier to "put the process on hold to allow for a referendum so we can let the people speak." Toronto is facing many issues that must be discussed during this campaign. This summer, there has been a tragic spate of gun violence in our city. I hope it was an aberration. Unfortunately, it has harmed Toronto's reputation as a safe city. Spending more money on policing is not enough. More preventive action must be taken. Stronger gun control is needed as well as more programs for youths. 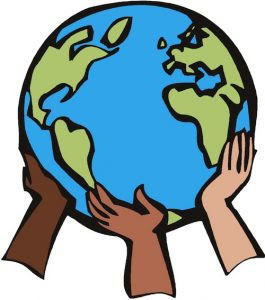 Unfortunately, the gun violence has diverted attention from some other serious issues, such as poverty, affordable housing and the environment. Those three topics should be major issues in the coming election. There are too many people living in poverty in this city. There is also a lack of affordable housing. It is too expensive for many people to live in Toronto. Renting or owning a home is beyond thair reach. Furthermore, Doug Ford's government is environmentally unfriendly. The premier has vowed to scrap Ontario's cap-and-trade program, a program that serves this province well. His party has budgeted $30 million over four years for a legal challenge against the federal government's ability to impose a carbon price upon the provinces. What a waste of taxpayer's money! Ford's government has claimed that removing cap and trade would save each Onario household an average of $260 in 2019. However, it acknowledged that the saving would largely be cancelled out by the federal carbon tax, which will increase over time. Moreover, on July 25th,Ontario's fiscal watchdog, Financial Accountability Officer Peter Wellman said he will review the cancellation of the cap-and-trade to determine how that decision will end up costing the province. Ford's decision has already led to the cancellation of a number of green initiatives that were funded through cap-and-trade initiatives. For example, the GreenOn program that provided rebates for energy-conscious homeowners has been axed, as well as a fund for school repairs. The mayor or Toronto must speak up and protect the environment of the province's most populous city. So, let the race for mayor begin in earnest. It should be fascinating. May the best man or woman win!